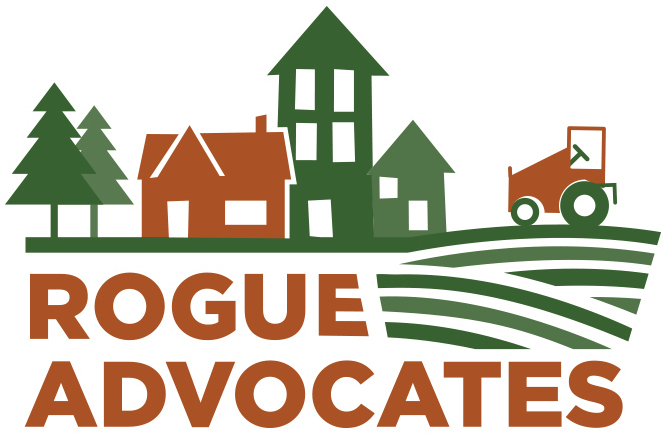 Rogue Advocates exists to carry out work for the public benefit—to ensure that land is used as wisely and efficiently as possible, while preserving resource land including farmland, forestland and open spaces in the Rogue Valley. We rely on the generous support of both grant-making foundations and individual donations. We work tirelessly to ensure that land use decisions are made with the public's interest at the forefront, but we cannot do it without your support of our work. Rogue Advocates, P.O. Box 443 Williams, OR 97544.